It was an icy cold day with the sort of cold that wound its way under my skin and into my bones. Even before heading out, I felt a shiver…with the windchill, the temperature sat at -24 degrees. I had noticed the visitor to the feeder before taking Max for his afternoon walk to the pond. 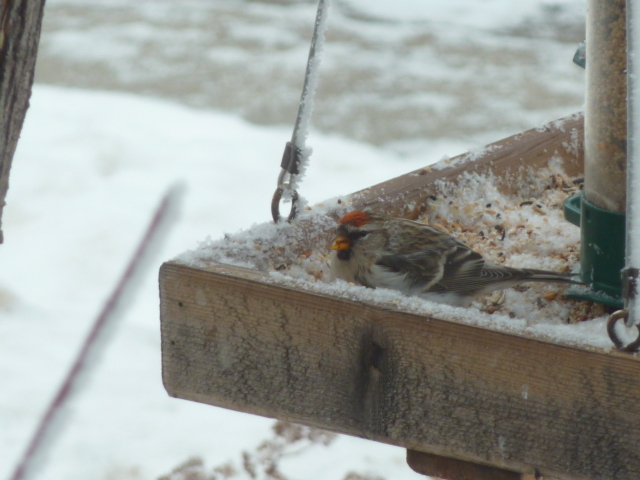 A Common Redpoll was diligently exploring one corner of the front yard feeder and even with the opening and closing of the door and the movement around the van, it remained….surprisingly, waiting for our return over an hour later. A wonderful sight, the tiny bird, one of the finch family, warmed up the day with its small, but powerful, presence. 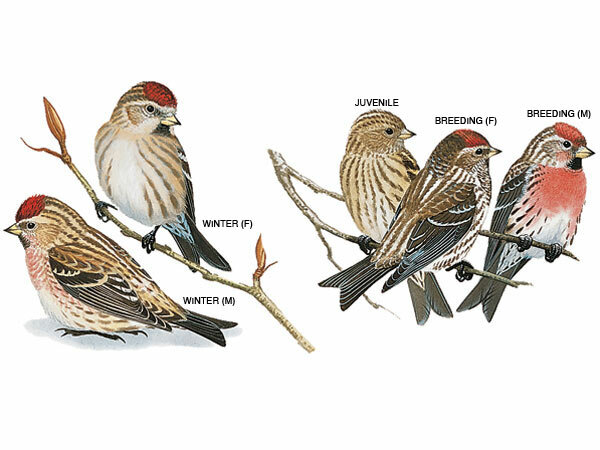 This entry was posted in Uncategorized and tagged bird feeder, Bird Watching, Birds, Common Redpoll, Winter by Painter Lady. Bookmark the permalink. I love that poem. Thanks for sharing.